Alice Maher is one of Ireland’s most established and influential artists and yet despite the long familiarity of her work she hasn’t lost the ability to surprise and unsettle. Her art is always mutating, fresh and dynamic. This new installation, Vox Materia, continues her sustained interrogation into the aesthetic potential of hybrid forms. Maher claims that her work is “not declamatory” but instead driven by a desire to “extend figuration into other realms” and offer a haptic as well as visual poetics of form. It includes a series of hand-made sculptural forms and largescale prints on paper. In common with a lot of her well-known work Maher began with a figure drawn from mythology and folklore. In this case it was a 12th century carving of a Mermaid from the neighbouring Kilcooly Abbey. Above is an excerpt from a text by Francis Halsall for Irish Arts Review. Full text available here. 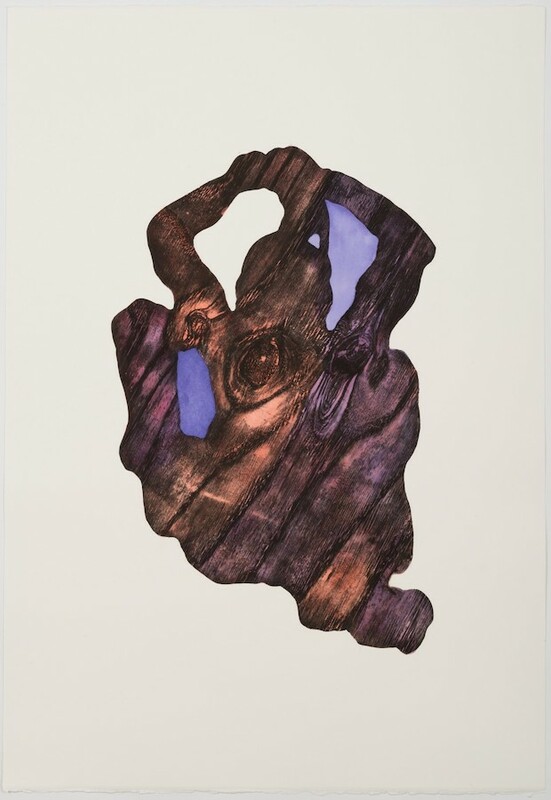 Throughout her career Alice Maher has produced a broad spectrum of works spanning an equally broad spectrum of mediums, working in film, sculpture, installation, drawing and more. Maher has exhibited in many galleries across Ireland including the RHA, IMMA and the Green on Red Gallery. Her first solo show was held in the Douglas Hyde Gallery in 1994 and that same year she represented Ireland in the São Paolo Bienal. From there Maher has gone on to show internationally with The David Nolan Gallery, New York, the Brighton and Hove Museums and Purdy Hicks, London among others. Her work is held in collections worldwide including the Irish Museum of Modern Art, MoMA, New York, the British Museum, London and the Pompidou Centre in Paris. Vox Materia originated in the Source Arts Centre, Thurles, and was curated by Pluck Projects.